We offer premium LED Flood Light that is tested for quality on several parameters such as working life, efficiency, easy disposal, etc. 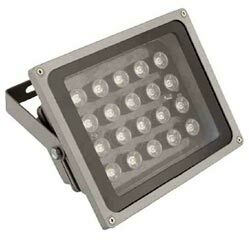 LED Flood Light that we provide is made as per high quality standards of the industry. Our LED Flood Light works efficiently for longer period of time. Thus, we are reckoned as noted Manufacturer, Exporter and Supplier of LED Flood Light in Mumbai, Maharashtra.